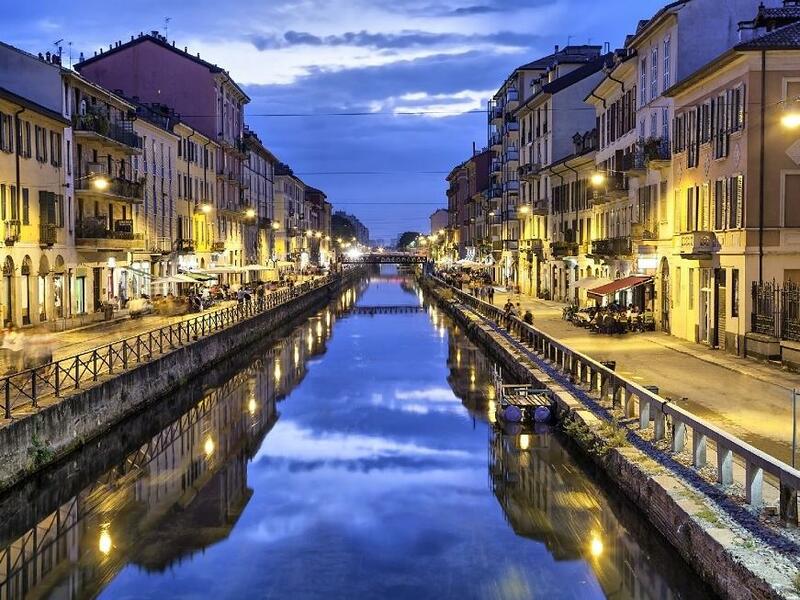 The traditional and picturesque zone of Navigli (artificial canals designed by Leonardo da Vinci) is full of restaurants and traditional and modern bars. In the evenings the area comes alive with Milanese 'movida', or nightlife. In the summer it is possible to organise mini cruises along these historic waterways which run from the city centre to the beautiful countryside, characterised by villas and monuments.